Vivint may have a complicated past, but they are re-evolving and improving. The Ohio Attorney General settled with Vivint in 2013 after consumers filed complaints alleging deceptive sales practices and the company’s refusal to honor notices of cancellation. Under the settlement agreement, Vivint agreed to comply with Ohio consumer laws and paid approximately $50,000 in fines. This also explains their B- BBB rating. So why even bother reviewing Vivint? Well, they’ve made many improvements to both their products and the experience they offer their customers. 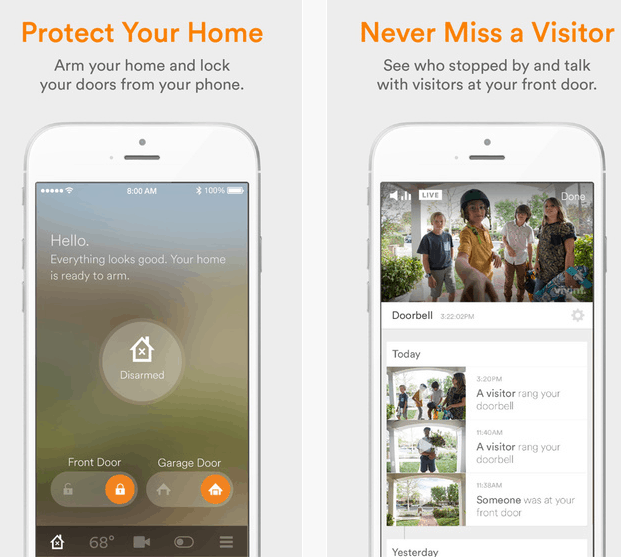 In an effort to give customers better technology and service, Vivint now offers three new ones: Smart Protect, Smart Protect & Control, and Smart Complete. 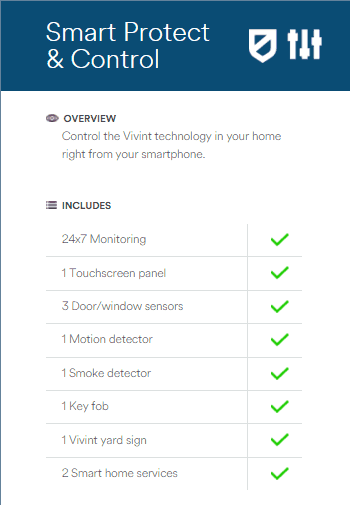 As you’ll see in this review, Vivint has really differentiated their offerings with some unique home automation benefits. Is Vivint The Right Choice For You? 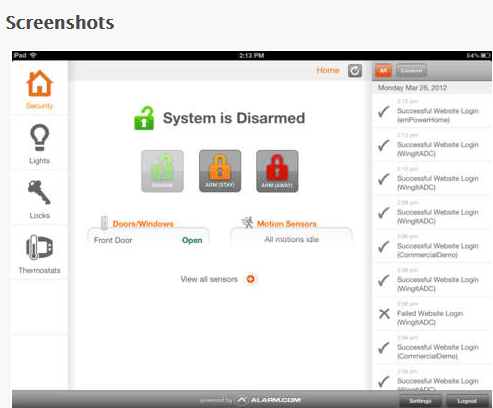 …and the option to fully customize your smart security system. It also includes a 7” touchscreen Vivint Sky Panel (shown below), 3 door/window sensors, 1 motion detector, 1 smoke detector, 1 key fob, and 1 Vivint yard sign. 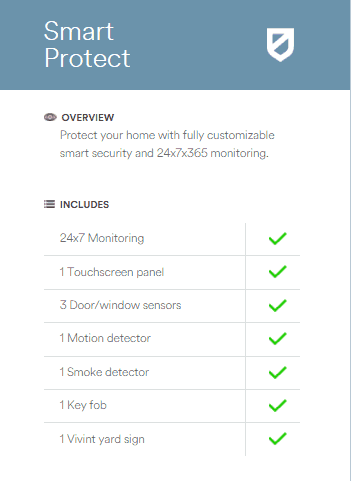 Their second level package is the Smart Protect & Control package and includes everything in the basic package, plus smart home service. 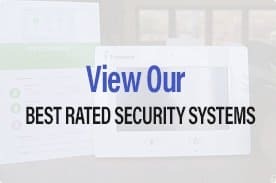 You can pick from the new doorbell video, smart temperature control, HD video recording, remote door access, outdoor HD video recording, or garage door control. Finally, with the Smart Complete package, you can have all the base services local cloud storage. Vivint’s Space Monkey provides 1TB of automated storage, and it can hold over 300,000 photos on the local drive. The cloud storage can be accessed using a remote login from any system. The equipment includes is a touchscreen panel, 3 door/window sensors, 1 motion detector, 1 key fob, 1 Vivint yard sign, 2 smart home services, and 1 TB of local/cloud storage. All three Smart packages include Vivint Live Communication, which is two-way communication between you and the central monitoring agency through the touchscreen panel. If the alarm is triggered, a Vivint agent will try to reach you through the panel, and if you do not respond, they will listen through the panel for any signs of something wrong in your home. Then they will call the police. Vivint has two different Apps: Vivint Classic and Vivint Sky. All packages include access to the mobile apps. The Vivint Sky app works with the Vivint Sky Panel, and it allows you to control the temperature of your home, lock and unlock your doors, check your alarm’s event history, and arm and disarm you system remotely. From the app, you can view love footage from your security cameras and set up notifications for events to come to you through text or email. The Vivint Classic app works with the Vivint Go!Control panel and is available for iPad, iPhone, Android, and BlackBerry devices. 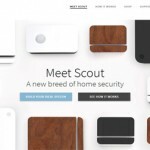 The features are similar to the Vivint Sky app, but you also use the app to set up notifications so that you can receive alerts to your phone or email in relation to everything happening in your home. 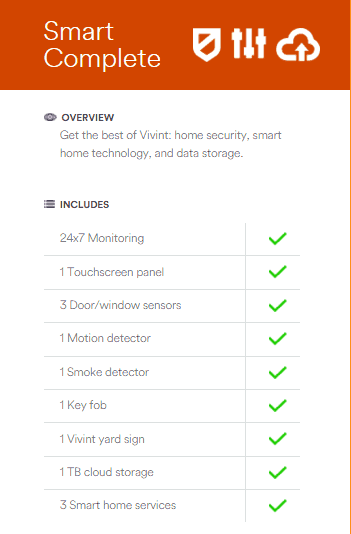 Vivint’s smart home capability is complete, but each smart home package comes with only two services for you to choose from. You can have more than 2 smart home services at an additional cost. 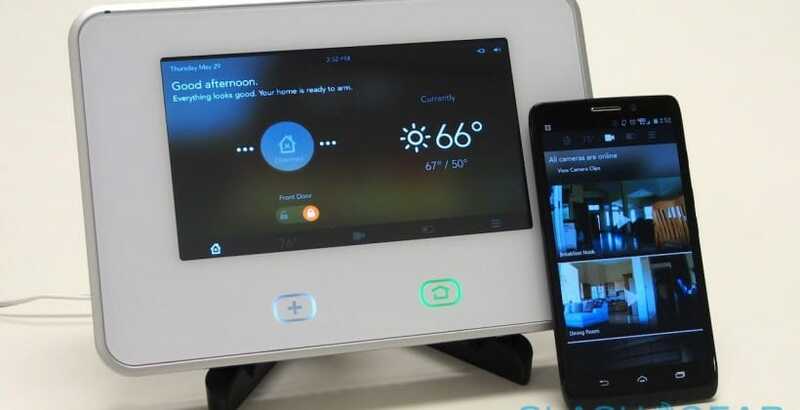 Like all things, there are pros and cons to using Vivint. 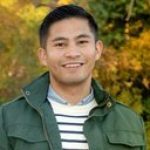 Vivint may have many improvements to both their products and services, but lets compare them to FrontPoint and see for yourself on who’s the best. In the end it all depends on your preference. 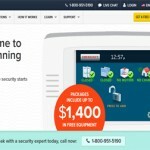 Offers 3 security packages: Smart Protect, Smart Protect & Control, and Smart Complete. All packages provides 24/7 monitoring. Has higher monthly fees and longer than the average contracts.